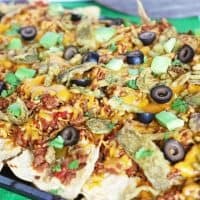 These crispy jalapeño loaded nachos are a quick and easy game day recipe to enjoy while homegating with your family and friends. 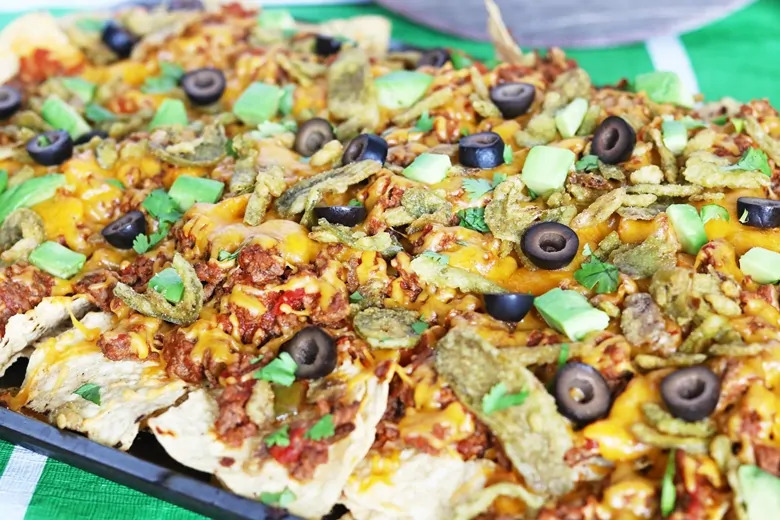 Read on for the easy nacho recipe, plus find out how you can enter to win prizes such as a big screen TV, awesome new grill, and fantastic gift cards in the Ultimate HomeGate Sweepstakes. My favorite parts of football season are the delicious game day eats and the lazy Sundays spent hanging around the TV with my family. When it comes to game day eats, I like to keep our menu simple. I look for recipes that are quick and easy to prepare, and can be enjoyed right in front of the television so that no one misses a minute of the game. Plus, quick recipes mean that I get to spend less time in the kitchen and more time with my family. I shop at Walmart for all of our game day needs. 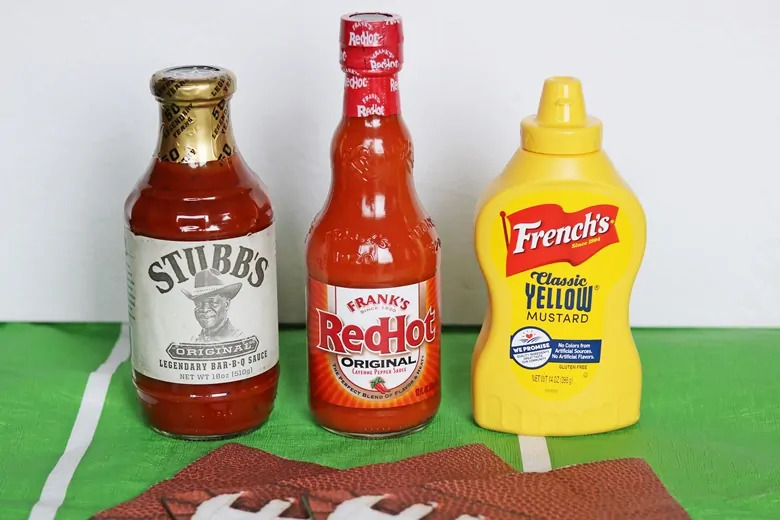 This week at Walmart I stocked up homegating essentials, including Frank's® RedHot, French’s® Mustard and Stubb’s® Bar-B-Q sauce. There are so many recipes that you can make with these 3 ingredients that the possibilities are really endless. This Sunday I decided to make crispy jalapeño loaded nachos featuring Frank’s® RedHot Original Cayenne Pepper Sauce. 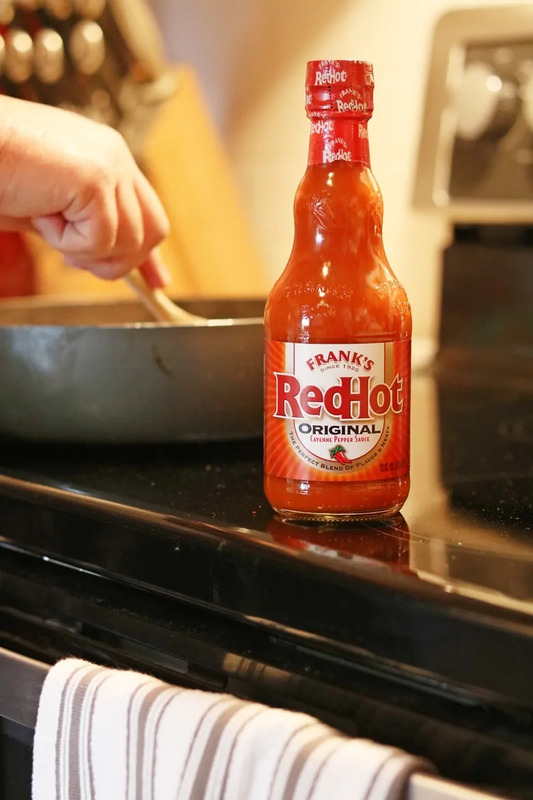 I love how Frank’s® RedHot Original Cayenne Pepper Sauce packs a lot of flavor, with the perfect amount of heat. Enough heat to give my recipes a kick, but not so much heat that it starts a fire in my mouth! This easy crispy jalapeño loaded nachos recipe is perfect for homegating. 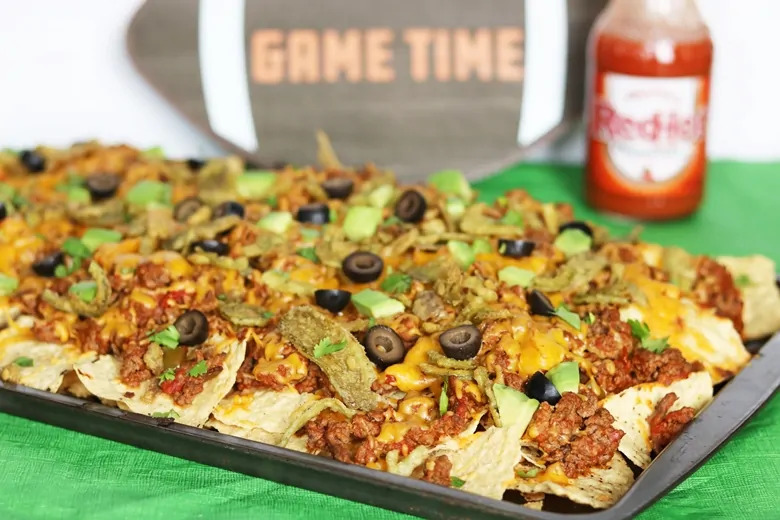 Packed with tasty ingredients including ground beef, Frank’s® RedHot Original Cayenne Pepper Sauce, cheddar cheese, and French's® Crispy Jalapeños, this loaded nachos recipe takes under 30 minutes to make. Aside from making a killer appetizer, these beef nachos are hearty enough that they could serve as lunch or dinner as well. A perfect dish for feeding a crowd. Yesterday we enjoyed this batch of crispy jalapeño loaded nachos as our lunch — and ended up having a late dinner because we were so full. They are that filling. And let me tell you, these are the absolute best loaded nachos that I have ever tasted – and I have eaten my fair share of nachos! We topped our baked nachos with sliced olives, cilantro, and avocado. But you can really top your loaded nachos with any topping you like. Don't like cilantro? Skip it. Love tomatoes? Add some on! 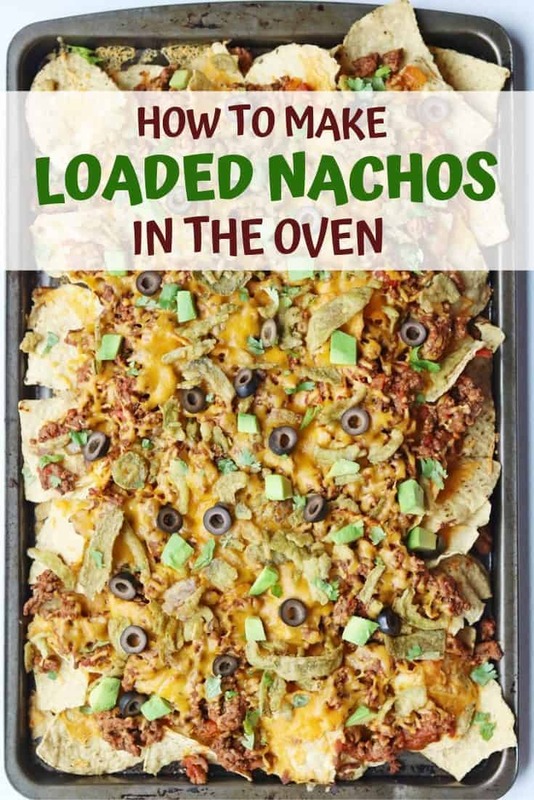 Use this easy baked nachos recipe as your starting point, and customize from there. 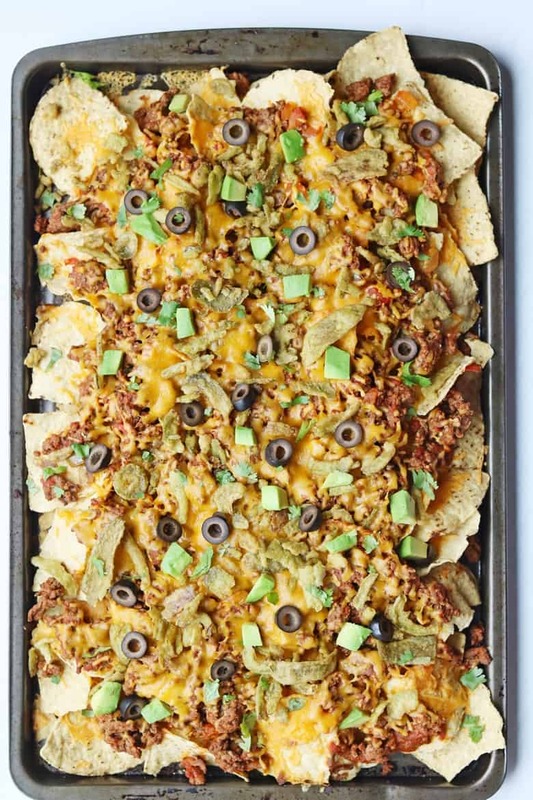 Since homegating is casual and low-key, I went ahead and served these loaded nachos right on the baking sheet. Everyone was so busy enjoying the nachos that they couldn't care less about what they were served in. Next Sunday I think I will make either these pulled chicken loaded fries featuring French’s® Classic Yellow Mustard or these chorizo joes featuring Stubb’s® Original Bar-B-Q Sauce to enjoy while we watch the game. Or better yet, I will make both! 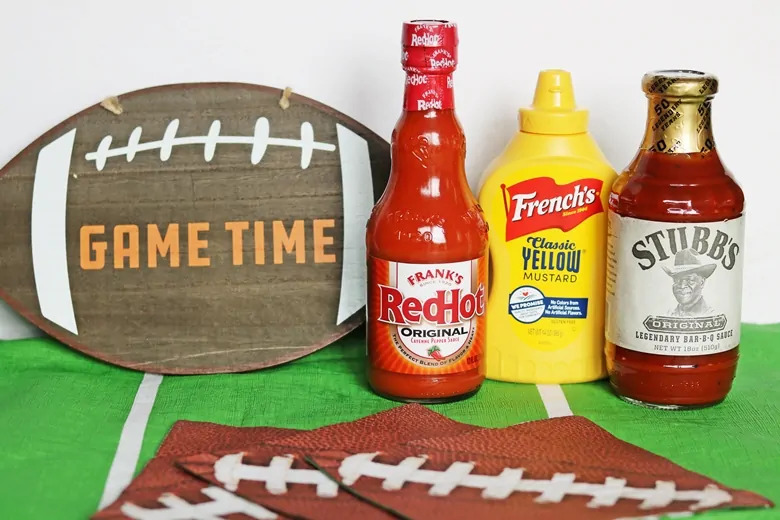 If you love homegating, you aren't going to want to miss the Ultimate HomeGate Sweepstakes. Now through October 28, 2018 visit the UltimateHomeGate.com to enter for a chance win some amazing prizes that will help your family HomeGate in style! Enter for a chance to win here. Good luck! I hope that you and your family enjoy this easy loaded nachos recipe! An easy loaded nachos recipe baked in the oven and absolutely packed with flavor. desired toppings, we used sliced olives, diced avocado, and chopped cilantro. PREHEAT oven to 425°F. Arrange tortilla chips in an even layer on large baking sheet. BROWN ground beef in large skillet; drain. Add Frank's® RedHot and salsa and bring to a boil over high heat. Reduce heat to low and simmer 5 minutes. SPRINKLE ground beef mixture evenly over chips then top with cheese. BAKE 5 minutes or until cheese is melted. Top with Jalapeños and bake 2 minutes. Top with desired toppings and serve. Recipe originally found on franksredhot.com. Shared on The Weekend Potluck. Yum! That is a great way to use crispy jalapenos. I can’t wait to try these! Mmmm nachos. These sounds delicious. 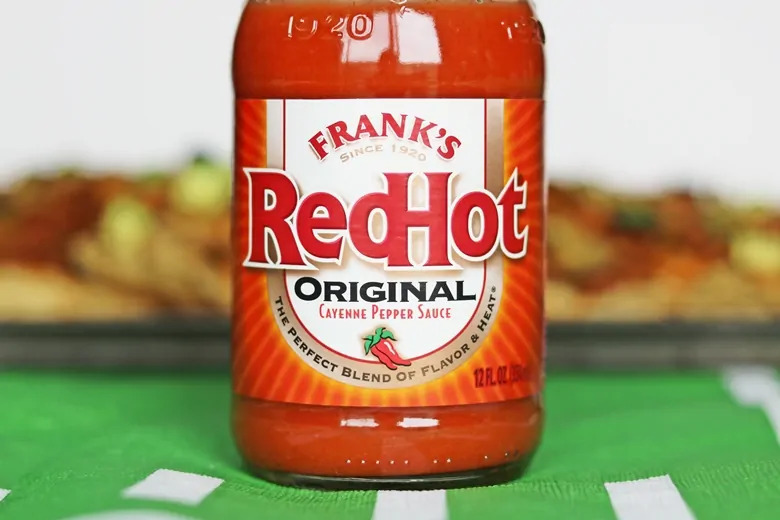 I’ve never used Franks Red Hot in nachos, great idea! My eyes say YES, but my GERD says NO. These look delish though. Thanks for posting! These look so good! They would be so perfect for game day! Exactly what Christina said above. I am drooling looking at these they look so good and I love spicy food but my heartburn and my Crohn’s does not like spicy food. Dad said I do sneak Frank’s red hot into my food sometimes .